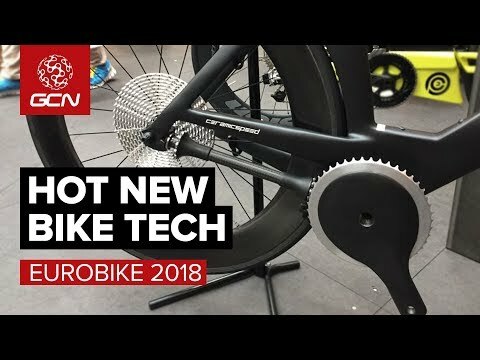 Eurobike 2018 is here - the biggest road and off-road cycling tech show, bringing all the latest and most exciting developments to market. We're on the ground to seek out what's new and bling! From smart fans to revolutionary drivetrains, new Time Trial bikes and tyres, to a hydraulic, 13-speed groupset. Yes, you heard that right. We're at Eurobike to seek out and bring you all the latest engineering advancements in the world of cycling. Which is your favourite? What would you like to see from our visit to Eurobike? Let us know your requests in the comments! The Global Cycling Network puts you in the centre of the action: from the iconic climbs of Alpe Dâ€™Huez and Mont Ventoux to the cobbles of Flanders, everywhere there is road or pavÃ©, world-class racing and pro riders, we will be there bringing you action, analysis and unparalleled access every week, every month, and every year. We show you how to be a better cyclist with our bike maintenance videos, tips for improving your cycling, cycling top tens, and not forgetting the weekly GCN Show. Join us on YouTubeâ€™s biggest and best cycling channel to get closer to the action and improve your riding!